Daryl Johnson (Worcester Park, United Kingdom) on 23 April 2011 in Architecture. 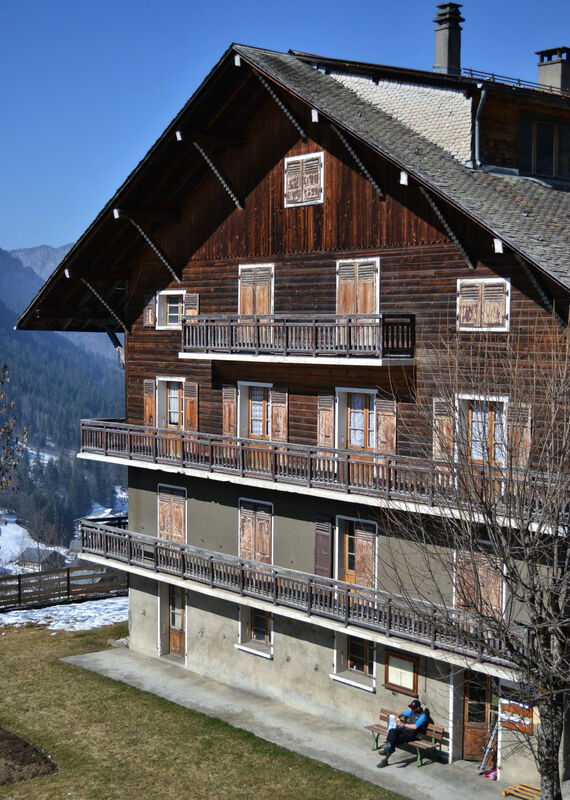 A large chalet, in the centre of the ski resort town of Châtel. Note how different the surroundings are compared to the previous few weeks' shots up on the ski fields... the weather was distinctly balmy down at this level! Classic details and setting here . . a kinda signature to a whole Region ! I think I could live with that Daryl, looks very pleasant indeed. I'm enjoying some warmth and sunshine at last up here in the north-east, but severe thunderstorms predicted in the next six hours! @Curly: Thanks Curly... we had ours down here a bit earlier! Looks like a nice place to stay. Yes, I like the weather here.